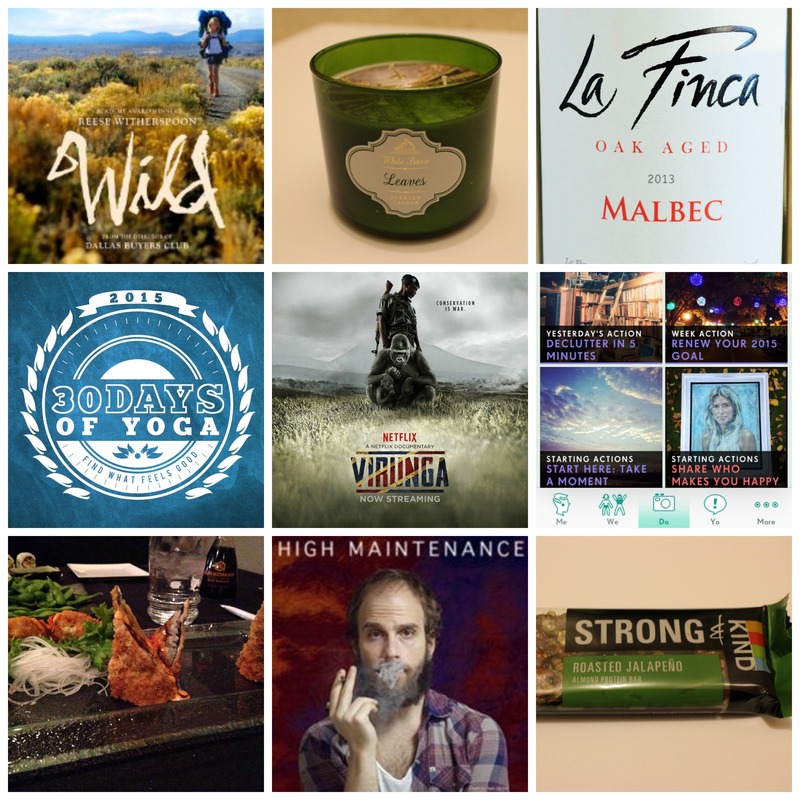 January favorites. | Finding delight. The book was a huge favorite many months ago and I couldn’t wait to see it come alive on the big screen. Reese Witherspoon was fantastic as Cheryl Strayed and it was fun to revisit the story. I still, in my heart of hearts, desperately want to be a long-distance hiker. I also believe stories like Strayed’s matter and am happy for it to be told in multiple forms so more people see it. I’ve been having a bit of a candle moment lately and Christmas hooked me up with a supply. Nothing beats a trips-wick from BB&W. My favorites include; Endless Weekend, Eucalyptus Mint, and Leaves. I am by no means a wine snob and have trouble making decisions. So when this book, which I gifted my mom for Christmas, suggested January was a good time to give Malbec’s a go, I just went with it. My mother has been comparing Malbec’s from different countries and regions. I on the other hand went with the cheapest option at Trader Joe’s. Gradual refinement is fine with me. Daily at-home yoga practice works so well to counteract the negative physical aspects of my desk job (not to mention my natural inclination towards tension headaches and racing thoughts). It’s also such a wonderful excuse to unwind and unplug. Nominated for an Academy Award, this touching documentary tells the story of a National Park, one of the most bio-diverse in the world and home to the last of the mountain gorillas, and the people working vigilantly to protect it from those who seek to destroy it. It’s available on Netflix so do yourself a favor. Jamie Oliver, who I’ve loved for ages, is the guy behind this fun new app. It’s kind of like Instagram with a purpose. Each day you’re given a micro-action to complete which you snap a picture of and explain in the description. The prompts range from noticing nature’s beauty to intentional snacking. It’s fun to see what other people come up with and it’s a great reminder each day that small actions matter and add up to a more purposeful life. P.S. It’s free to download. A new-to-me sushi and sake bar in town. Sometimes you just want a little pomp and circumstance with your meal and I’ve found that places specializing in sushi are the best at this. I may or may not have watched all available episodes of this web series, about a pot dealer and his various customers, over the course of just two nights. I found it laugh out loud funny. My friend Adam liked it too and I don’t think we’re usually wrong, soooo…. Sounds crazy but actually crazy delicious. Pingback: 7 tips for snacking smart on the road. | Finding delight.